Most people love their morning coffee and it's not hard to know why it tops the charts. It's one way to wake you up in the morning and even during the day when your feeling sluggish. Believe it or not, it has some health benefits too and it comes in some of the most delicious tasting flavors ever! To know how to get the best cup of coffee, you have to know the steps of brewing the coffee the right way. There is an art to the way coffee should be made. Always start out by making your coffee in a machine that’s free of any residue or after-effects of cleaning. That includes running a single pot of pure water through a new coffeemaker, since you may sometimes get a plastic taste during the initial cycle. So to begin with, you’ll want to take a look at the appliance you’re using to make your coffee. After you’ve made sure the machine is ready to use, check for efficiency and brew style. That may mean reading that little book that comes with the coffee pot. Drip coffee makers are most common in many households. It's a simple machine and easy to use, but there are some that have quite a few features, like a button to pause the brew, clean the coffemaker and a signal when the coffee is done. You may have a single coffeemaker, one of those personal ones that are economical to use, especially if you're the only one who drinks coffee. These machines come with mugs that the coffee drips into and you just take the mug with you. One thing I like about these is there's no filters to buy and mug is much easier to clean than a pot or carafe. Do you remember the old fashioned percolators that plugged into an outlet. These are stainless steel coffeemakers with the filter basket contained in the percolator. You simply fill the filter with coffee and plug it in to brew. These are extremely durable machines but boy were they messy! You may want or have an espresso machine and these are very popular also. Learning how to make espresso at home takes some practice because it’s a specialty technique. The espresso machines brew coffee that’s very strong and are called “shots” because they’re loaded with more caffeine. You can get espresso machines that range in size and price so you would want to do some comparison shopping if you’re looking to purchase one. Some of the espresso machines you get can make more than one cup of espresso at a time, so you'll have to decide what you want. You can get the self-priming ones that make dual cups and give you the right temperature and pressure - and those espresso makers are great choices. If you like easy there's the stovetop espresso machine. These make great espresso shots, they’re convenient, affordable and easy to clean. Then there’s the French Press coffeemaker to consider. 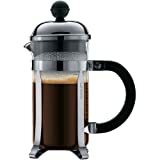 Unlike standard drip coffeemakers, which separate grounds and water, a French Press makes coffee by mingling the two together. These machines don't use a filter. The press works by using a plunger to press the grounds to the bottom and here's a drawback: since the ingredients are mixed all together, the coffee may taste a bit bitter. You may just flip the switch and watch the brew drip from your machine but there's a certain time element involved in how coffee is brewed and that depends on what type of coffee machine you are using. Getting the best taste is related to how the flavor is extracted. In a drip machine, your coffee should not have contact with the water for longer than five minutes. Closer to 4 minutes is better. To understand this science, coffee is made when the essence of the coffee is removed from the bean. You have to have just the right length of time to get the best flavor. Especially when using an Expresso machine, because it is possible to get it too light or even too dark depending on how much time of contact it has with the water. Did you ever thing coffee was this complicated? If you use a French Press, you can get bitter coffee in you have inadequate water contact so this is very, very important. Aiming for about 3 minutes of contact time will help to keep the bitter flavor down. We found out that the water extracts the flavor of the coffee to give you that delicious taste. However, the water has to be at the right temperature for a great taste also. The water has to be hot enough or you lose flavor. If it gets too hot, you have a more scorched, bitter taste. You are probably thinking that your coffee maker comes straight from the factory and has preset temperatures. This is true, but sometimes in shipping, it can mess up during the shipping of the coffee makers so checking the temperatures is important. If you've had a machine for awhile you will want to test the temperature to make sure the heat is reading 195 or more. Less than that will really alter the taste because the flavors will not be extracting properly at all. A word of warning, don't go over 205 Fahrenheit or it will also change the taste, making it taste stale. All in all, there are so many thoughts on making a great cup of coffee. What do you think? Is the Filter System Important? The paper coffee filter is the most common and easiest ever. White or brown filters are found in almost in store. The brown are unbleached, which is actually the natural brown of the tree pulp. Using the white or brown is just a choice, it won't change the taste of your coffee. Reusable filters also help keep the grounds out of coffee and they’re environmentally friendly and less costly to use than continually buying paper filters. However, some people prefer to use paper filters along with reusable filters. If you have reusable filters, you do have to clean them out each time you make coffee, so that the filter will continue to work right. I found that it can be messy at times but they do come in handy when you run out of the paper filters. I've never seen these but Gold toned filters are stainless steel coffee filters that have tight mesh and are considered highly desirable filters for their screening ability. Then there are some environmentally friendly filters that are actually made of fabrics like cotton. Have you ever heard of these? You would have to wash the cloth filters! I just don't have that kind of time but it is an option. Water Makes A Difference Too! If you don't have a good filtration system then the type of water you use can make a difference in taste. If you have water that tastes like sulfur or your city wate doesn't taste that good, it will show up in the taste of your coffee. Tap water isn't always best to use because it can contain impurities and even distilled water is simply boiled water which takes out the minerals of the water. So what can you use? For the best results with your coffee, you want to use water that’s bottled or filtered - and one of the reasons why is because minerals can change the taste of coffee and minerals can cause build up within your coffeemaker. Always use fresh water, so if you’re using bottled water, check the date stamp on the bottle. Do you go to these extremes to get a good cup of coffee? How much water to coffee grounds to use? 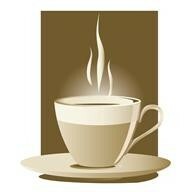 The measurement of six ounces is considered to be a cup of coffee no matter what size of cup or mug you use. The rule for making a cup of coffee based on the six ounces rule is to use one or two tablespoons of coffee grounds for it. This is a rule that has some variations, however, because the rule needs to factor in the way the coffee is ground. Finer ground coffee can make coffee that’s not as strong if you follow the six ounces for every 1-2 rule. By the same rule of thumb, grounds that are coarser can also affect the rule. The best bet is to try the ground measurement per six ounces that suits your taste. Personal preferences have a lot of sway in how much water and coffee you use in each pot. Do You think using certain water and the temperature make a difference in a good cup of coffee? I never before thought of this and glad you taught me about it. I think it makes a big difference, test and proven to be true. I'm sure it does make a difference. I've tasted some horrid coffee and now have my favorites that I use with a good coffee maker that grinds the beans fresh. I'm glad to learn that you can make coffee without a pot. That was an excellent video. Thanks for the lesson. Thanks for your comment Michey, now I am thinking I can smell one too....wonder if it will keep me up! I agree that the type of Coffeemakers makes a lot of difference, along with the quality of coffee. Great post, I can smell a good coffee. Thanks Sheri, Katie and Brenda. I am a bit spoiled, I love plain old coffee but it has to be tasty. I"m not much for the expresso's and flavored coffee either, but everyone now and again, a french vanilla cappachino is yummy! Thanks for this wonderful explanation of what makes a good cup of coffee. I drink two cups a day and I prefer them to be tasty and not bitter. I love a good cup of coffee, key word GOOD. Some coffee is nasty and yet if made the way you've outlined it can be a delicious experience. I love grinding coffee beans fresh as well. It makes a big difference as well. Great read thanks. Great resource for those determined to make a good cup of coffee.